Make Sonoma Canopy Tours part of your trip to beautiful Sonoma County, CA. Enjoy outdoor recreation options and plenty of local charm. Check out a recent article in Bay Area for Sale! Armstrong Woods is a must see when visiting Occidental. The reserve near Guerneville preserves stately and magnificent Coast redwoods, the tallest living things on planet earth. The park offers a visitor center, outdoor amphitheater, and self guided hiking trails. Equestrian use is not allowed during the winter months, but there are many miles of trails in both Armstrong Woods and the adjacent Austin Creek Reserve that are accessible during the summer months. Fort Ross, originally Fortress Ross, is a former Russian establishment on the Sonoma County coast. Safari West is a 400-acre private wildlife preserve located in Sonoma County, California, United States. The selection of wildlife emphasizes species native to Africa, including giraffes, rhinoceros, cheetahs, and numerous species of birds. The Charles M. Schulz Museum and Research Center is a museum dedicated to the works of Charles Schulz, creator of the Peanuts comic strip. The museum opened on August 17, 2002, and is located in Santa Rosa, California. The Pacific Coast Air Museum, in Santa Rosa, California, is a non-profit organization dedicated to promoting and preserving aviation history through the acquisition, restoration, and display of historic aircraft. Located in scenic Sonoma County, Osmosis is known for our unique Cedar Enzyme Bath, rejuvenating massages, organic facials, and beautiful Zen gardens. Open for flights 7 days a week. Features Wedding Services, Champagne Brunches, Private Flights for 2, and Transportation Shuttles. 35 years of experience and FAA-DOT Safety Certified. Offering Scenic trail rides for all occasions Beach and trail rides. Open all year. NorCal Skydiving is located in the heart of Northern California’s Wine Country right off US Highway 101 in Sonoma County close to San Francisco. Tours lasting 20, 30 or 60 minutes starting at $200. For 3 people See Sonoma county landmarks form a new perspective. Surrounded by trees, this quaint hotel is 13.2 miles from Armstrong Redwoods State Natural Reserve and 13.7 miles from Bodega Bay, and 3 miles from Sonoma Canopy Tours. Warm rooms offer free WiFi and 32-inch flat-screen TVs, plus microwaves, minifridges and coffeemakers. Suites add separate living spaces, kitchenettes and dining tables. Perks include a seasonal outdoor pool and free parking. Canopy tour guest receive a discount Mon-Thurs. Luxurious guest houses located in Occidental CA surrounded by wooded hillsides, meadows and creeks. One of the most beautiful areas in Sonoma County. Just 3 miles from Sonoma Canopy Tours. Set on the Russian River in the town of Monte Rio and surrounded by redwoods, this relaxed inn is spread across 2 buildings. It’s 6.8 miles from the Armstrong Redwoods State Natural Reserve, 4 miles from Sonoma Canopy Tours, and 11.4 miles from the Sonoma Coast State Park. The 10 cozy, casual rooms feature flat-screen TVs & free WiFi, plus minifridges, coffeemakers and microwaves. Some rooms add private entrances, balconies and river views. Chic, family-run historic riverfront hotel with a German bar/eatery, plus free breakfast & Wi-Fi.  Just 4 miles from Sonoma Canopy Tours. Nestled in scenic Sonoma County along the water, our Bodega Bay Hotel offers a charming escape with perks like free Wi-Fi and breakfast. A cluster of hillside shingled lodges overlooking Bodega Harbor, this upscale hotel is a 1-minute walk from the waterfront. Stylish, classic rooms have bay and harbor views and feature plush bedding, free WiFi and flat-screen TVs, balconies and/or wood-burning fireplaces. Set among redwood trees near the Russian River, these upscale cottages are 2.6 miles from Armstrong Redwood State Natural Reserve, and 2.7 miles from Northwood Golf Club. The rustic-chic cottages feature TVs and free WiFi, along with decks or patios. Some add fireplaces and kitchens, plus spa tubs and wet bars. This upscale hotel with a hip vibe is next to the seasonal Healdsburg Farmers Market, and 3 miles from hiking at Healdsburg Ridge Open Space Preserve and 15 miles from Lake Sonoma. Haydon Street Inn is a stunning 1912 Queen Anne Victorian bed-and breakfast in the friendly, picturesque town of Healdsburg in Sonoma County, California. Delicious Italian family style meals. Great food, pub classics, great beer and wine selections. Howard Station Cafe serves healthy organic ingredients in their dishes and provides a place of comfort through delicious food. All of our eggs are organic, and we offer organic options thru out or menu. Many vegan selections. Hopping bar & restaurant serving cocktails & upscale cuisine like duck confit, salmon & oysters. Located in Graton CA. Craft beers & creative pub grub offered in a lively spot with a fire-pit patio & weekend live music. World class burgers and full bar in Santa Rosa CA. 5 star Sustainable Seafood & Good Eats! Your traditional Bodega Bay Favorites created with organic ingredients and love! Gluten free options. Loacted in Bodega Bay CA. Seasonal American small plates paired with local wines & flights in stylish, airy surroundings. Located in Healdsburg CA. Getaway Adventures is the original touring company in Sonoma County and Napa Valley. All employees and guides are local to the area and have expertise on wine, restaurants, history, flora, fauna and the best trails and roads to share with you. Experience the beautiful rolling hills of the world famous Russian River Valley vineyards as we leisurely ride up close. Enjoy biking on easy riding, relatively flat nature trails and quiet country roads. Our professional and fun guides will educate you about the history of the local area and show you hidden gems! Northwood Golf Course was recently ranked the 3rd best 9 hole golf course in America by Golf World Magazine. A Robert Trent Jones II redesigned course perched along the spectacular Sonoma Coast. 18 holes of undulating greens, rolling fairways and native coastal rough creates a course in the Scottish links style. Oakmont Golf Club offers two 18-hole courses, the West and the East. The West Course is slightly longer than the executive-length East, but they are both challenging courses. Where the river meets the waves in the heart of Sonoma Coast State Park and the Greater Farallones Sanctuary. If you haven’t canoed the Russian River, you haven’t canoed! A truly great experience. Insider’s tip – go as early as possible. There is a lot more wild life to see in the early morning and you’ll avoid the crowds. Also- no dogs or very young children- strong swimmers only. Kayak rentals sporting goods and fishing supplies. Located in downtown in Guerneville. Family Campground is a 120 Acre RV and Camping Resort on the Russian River inside a working ranch. Doran Regional Park has a wide, 2-mile stretch of beach on Bodega Bay and is ideal for walking, picnicking, playing in the sand, flying kites, surfing, and bird-watching. More than 120 tent and RV campsites are available year-round. Nestled in an ancient redwood grove 2 miles East of Guerneville, along the Russian River. Camping fishing kayaking boat ramp and fishing station. In Bodega Bay. Located on 60 acres of pastoral beauty, the campgrounds is a perfect place to relax, unwind, and get back to family.